Insects are a major concern in every house and there are times when you need to call professionals but that isn’t a cheap solution. Chemicals used by the experts are too strong and don’t leave their impact very soon keeping the house of kitchen unsafe for sometime. Small children or elder people are quite allergic to the chemicals used by the professionals (Pest Control professionals). Why not use some homemade tips which can solve the problem of bugs at your home, keeping it safe for children and elderly people. Here are some safe methods you can try the next time you need to rid your home of bugs, insects. This is an excellent way to deal with insects that are slow fliers like box bugs. This method is also cheap and efficient. All you have to do is prepare a soap solution by mixing a couple of teaspoons of dishwashing soap in a litre of water. 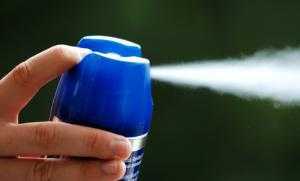 You can then fill it in an empty spray bottle and use it to spray the soapy solution over the bugs. This does not kill them instantly. It works by suffocating them, so that they stop moving a few minutes after they have been sprayed. You can also use this method to get rid of crawling insects. You can keep ants away just by wiping down your kitchen counters with soap and water to discourage them from paying a visit. But get rid of the crumbs first. The best part about this method is that when you are done, there are no toxic chemicals to worry about. Also, your house will not smell of insect repellent. There is a slightly different method to deal with slugs in your garden. For these creatures, fill a bowl with a mixture of soap solution and stale beer, and keep the bowl in those areas where they are most active. The slugs are attracted to the bowl by the scent of the beer. Once they crawl in, they are trapped and die by drowning. You can even substitute the beer with grape juice or honey. In the case of nesting insects like ants, cockroaches, and bees, merely killing the ones you see is not going to solve the problem. That is because you will only be targetting the individuals that you see and not the entire colony. The key to dealing with these insects is to bait them and get them to take the bait back to the nest. A good bait to use is some borax in a solution of sweetened warm water. The sugary scent attracts the insects while the borax kills them. Since it is slow acting, it allows them to take the borax back to their hive before they die and, thus, poison their nest mates. Keep the bait solution in a small container in the open. It will do its job of attracting the insects and, at the same time, will keep the surrounding areas borax-free. All insects are not bad. In fact, many insects are natural predators of pests. So they can actually help you in your fight against those which are harmful. Before you attack something, make sure you are not destroying a friend. – Bees are excellent pollinators in the garden. They are responsible for the transfer of pollen from one plant to another when they go to different flowers to collect nectar. You only have to worry about them if they build a hive in or around your house. – The humble ladybug or ladybird beetle is a known predator of aphids, which are a very common plant pest. Some species of ladybugs also feed on scale insects and mites. Ladybug larvae are also very efficient in controlling pests. They have a ferocious appearance, which misleads people into thinking they are harmful, which is untrue. – The praying mantis lies in wait while perched on plants and catches unsuspecting insects with the help of its modified front legs. – Spiders are also excellent predators of insects, especially in the garden. Some species of spiders are poisonous and can deliver a nasty bite if provoked. But a vast majority of them are harmless to human beings. – Dragonflies, just like birds and bats, feed on mosquitoes and are useful to have in your outside environment. Prevention is certainly better than cure. 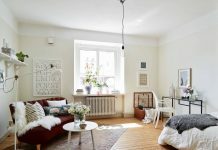 Instead of waiting for an army of pests to take over your home and then trying to get rid of them, you can follow a few basic rules to prevent pests from entering your home. – Clean surroundings are the first step to securing your home. Removing spilled food and crumbs immediately goes a long way towards keeping ants and cockroaches away from your home by depriving them of a food source. – Keep garbage in cans with tight lids and clean the cans regularly. This will eliminate a potential breeding site for disease carrying insects such as house flies. – Mosquitoes breed in pools of stagnant water. You can avoid this by not storing water for long periods of time. – If you have plants indoors, check the pots regularly to see that there are no pools of water accumulating in or near them. How do you keep you home pest free? Share your tips with all of us. I would love you to leave me a comment and let me hear your opinion. If you’ve got any thoughts, comments or suggestions for things we could add, leave a comment.